For major dental problems, dental crowns tend to be the most ideal option for treatment. These caps for teeth help conceal problems and protect the underlying tooth structure from further harm. Many patients who come to our Woodinville, WA practice get crowns to address their problems. We’d like to take a moment to consider candidacy for dental crowns as well as what sorts of procedures a crown may be used for. This will give you some idea on if crowns are the right treatment option for you. Good candidates for dental crowns are people who suffer from serious cosmetic problems or health issues that cannot be addressed by other dental restorations or more invasive procedures. As you’ll note below, crowns have many different uses. For people who have suffered from severe tooth decay, acidic enamel erosion, or dental injuries/trauma that fillings, inlays, or onlays cannot treat, dental crowns are the ideal option. By capping the damaged tooth, a person will be able to bite, chew, and smile with reduced discomfort. In addition to restorative treatments, dental crowns can also be used for cosmetic needs. 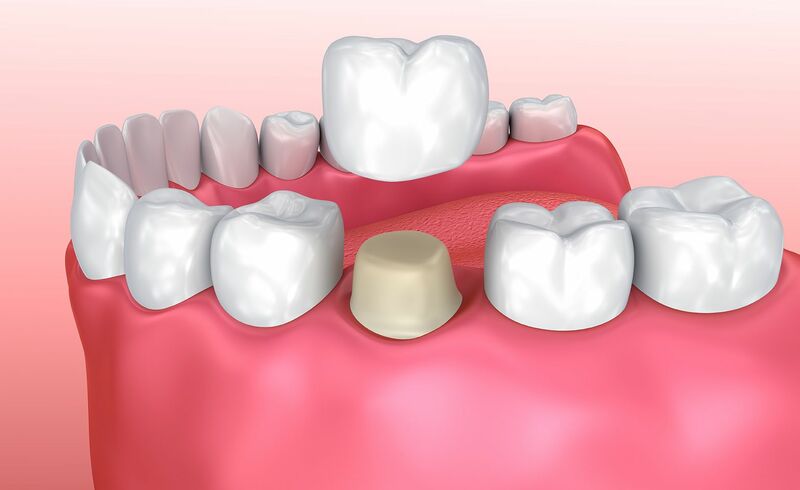 A porcelain dental crown can help improve the size, shape, alignment, and overall appearance of a flawed tooth. In essence, the tooth is reshaped and masked in order for it to look its very best. Root canal infections must be treated with endodontic therapy. These procedures remove diseased dental pulp and prevent the spread of infection to other parts of the mouth. Following treatment, it’s customary to cap the treated teeth with a dental crown. This protects the tooth from harm and restores overall function to the patient’s smile. If you are missing a tooth, it’s possible to use a dental crown to help restore you smile. In these cases, the dental crown will be supported by an individual dental implant. This process can take some time since the dental implant must be surgically placed and allowed to heal and fuse with the jawbone. Once that months-long process is completed, a custom crown can be used to restore the overall appearance of your smile, filling the tooth gap seamlessly. What Type of Crown Will Be Used? There are metal and tooth-colored crowns available, and the nature of your treatment and the location of the tooth will determine the ideal type of crown to use. Generally speaking, a tooth-colored crown will usually be used for any treatments on the front teeth since they are so visible. For molars and premolars, metal crowns may be more likely given their durability. No matter what the treatment is or the type of crown used, patients must be aware of the risks and benefits associated with dental crown treatment. By knowing the pros and cons involved in the treatment process, patients will be equipped to face the pre-op prep process as well as the recovery phase of treatment. Dental crowns are effective, but it’s very important that patients have realistic expectations about the results of treatment and proper aftercare of their crowns. Realistic expectations help with overall patient satisfaction, and may also lead to longer lasting and more effective treatment outcomes. For more information about dental crowns and how they can help you have a smile that is beautiful and healthy, be sure to contact an experienced cosmetic and restorative dentist. We look forward to your visit and discussing these matters in greater detail.